In this week’s podcast episode, I share how to write great product titles for your e-commerce products. 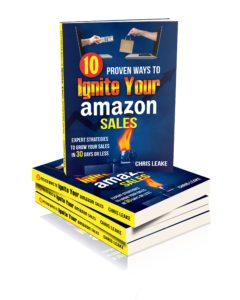 This discussion focuses specifically on writing titles for your products on Amazon, but most of what I share applies to other online selling platforms as well. The “perfect” product title is the one that makes the most sales and makes customers the happiest! You don’t know that unless you test, so try different product titles and measure how they perform. Make sure your title clearly answers the question, “What is this product?” using words that customers would use to describe your product. This is the most important thing. Exclude obscure or confusing words or model numbers that customers don’t need to know in order to properly identify the product. If it doesn’t help the customer decide to buy, leave it out! Pay attention to the maximum number of characters allowed in your title (generally 50-200 depending on the category; check the style guide for your category). Refer to Amazon’s category style guides for more information. Absolutely be sure to include your most important keywords in your title. This is extremely important! Decide where to put your brand name. Put it at the front of your title if your brand name is likely to influence a customer’s decision to buy. Otherwise, put it at the end of your title or leave it out of the title altogether. The first 60-65 characters are the most important – lots of people are shopping on mobile and only see those characters. In certain layouts even on Amazon’s desktop site, only the first 30-35 characters of the title are displayed. Use hyphens, colons, and vertical pipes to break up phrases in your title and make it more readable. Start with the five most important words, exactly 5, followed by a hyphen or colon. Amazon will include these 5 words in your canonical url that is used by sites like Google to index your Amazon listing. Make it readable for customers – computer algorithms don’t buy your products, customers do!